– Features most hated are Multi-tasking, task management and Google Sync security defaults. – Features most desired are Multi-tasking on/off toggle (and I would leave it off), and a decent task manager (because it should be easier to stop apps hogging precious battery power). Overall it has been both snappier and sluggish, eaten more battery and been more functional so it is an improvement. However I am not happy to have to task and memory manage again as I ran away from Windows Phone because of those. Oh and Google, you need to sort out your Mobile Sync setting support and overall Google Apps capacity as those first two days were hell. There is little doubt that iOS 4 is a leap forward for the iPhone platform and one which many of us have been looking forward to for some time. Wallpapers, folders and multi-tasking have been standard in all other mobile operating systems for years, but Apple has a magical way of replicating what has been done before, but with more style and smoothness that appeals to anyone who uses their products. 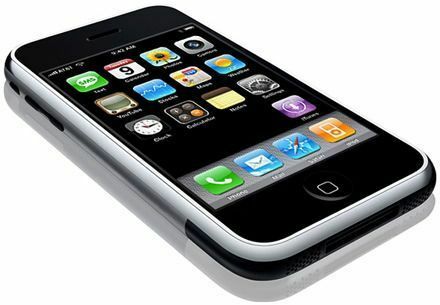 The iPhone 4 running iOS 4 is super fast, smooth and pure Apple from start to finish. An iPhone 3G or 3GS running iOS4 feel like a first generation Windows Mobile device which would stutter the moment you started to do multiple things. Judging from the emails and comments you have sent in, I am far from alone in experiencing performance issues on the iPhone 3GS and this is disappointing in a device that by all accounts is supposed to be more than powerful enough to cope with the changes. Remember, we are talking about a cut down multi-tasking setup, wallpapers and folders. Just how weak is the hardware or software if they cannot handle such simple functions? My BlackBerry Curve 8310 handles all of this in the blink of an eye and so do the most basic of Symbian devices, but not the 3GS. Games like Angry Birds, Flick Cricket and other minimalist titles start to stutter after a minute’s play. The keyboard can show hints of delays just like the 3G used to suffer from and general switching between apps and pages in an app stutter like my old jailbroken iPhone 3G used to. It is truly a bizarre feeling to ‘update’ a smartphone with software from Apple and to then find that the overall experience is similar to non-Apple smartphones. Apple has built a reputation by hiding the workings of computers, by producing a smooth user experience which just lets you get on with your life and by always testing and testing and testing until a product works properly. Well guess what, it didn’t happen this time. I never got excited about the lack of multi-tasking, actually agreeing with Jobs that I could not see how important it was. Now I have a feature I have to manage rather than just use the phone, and that is irritating. I just hope that somehow that they have planned in the concept of being able to turn it off in future releases… as in an immediate 4.01 release. That will allow the performance to be snappier all the time (I recognise the slow downs and the stops occurr when I have not harvested all the apps out of the task manager dock).